Today is the first day of the residency at Morley Library. Colin comes over to tell me I have a date wrong on the display. I thank him and correct it. Then I start writing, beginning with Alice’s childhood. Starting points are Western Flatts, the knowledge acquired today that her father, Joseph Cliff, helped establish Wortley’s two cemeteries and the vast number of siblings she had. 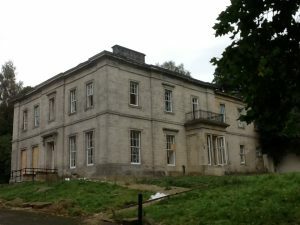 Photo of Western Flatts, now Cliff House, where Alice grew up, in a sad state of ruin at the moment after the developer who bought it went bust. I find out about the Unitiarian ministers at Mill Hill who would have preached to the family. One of them, Thomas Hincks, had an interest in zoophytes – animals that visually resemble a plant such as sea anemones. I do not manage to incorporate zoophytes in a poem but the Unitarianism interest in the Enlightenment does break through and my subject becomes one of illumination later in the morning when I write about the 1862 lighting of the gas lamps in Morley. I imagine this as a public occasion with Alice in attendance and write about it as a diary entry. 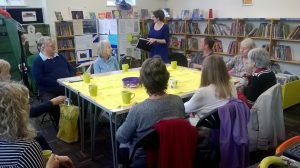 In the afternoon there is quite a party – Clive, Julie, Cath, Peter and Christine are there to hear the work so far, look at the scrapbook and exchange information. Christine would like to see a character that continues the work of women like Alice by fighting for change and against injustice. This delights me as it is important to me that the show is not a dull rehashing of history. I was thinking along these lines. ‘I feel like we’ve made some good progress,’ Clive says. He gives me some historical details about what Morley was like in 1862 that I will later include in the piece. I have an idea of where the show might begin but on Tuesday my intuition pulls me towards writing about the end of Alice’s life and her legacy – an exercise workshop participants will remember from the festival. From my experience of writing novels, I trust that the middle will come later. I research and write, looking at clippings from the scrapbook and information given to me by Morley Community Archives about Alice’s funeral and the New Year Council meeting that follows it. Some of the phrases are too beautiful to omit and I begin to work words from the newspaper transcripts into what I’m writing, the script becoming a collage of fact and fiction. Apart from the library visitors who pause to look at the display, we only have two visitors on Tuesday. Paul isn’t from Morley and doesn’t know about Alice but talks about how when women were campaigning for the vote many men also didn’t have the vote. This is a good point; measures taken to increase the male franchise was a key reason for women to think they had a chance of obtaining the vote and they grasped the opportunity and class is very relevant to this project. An older woman comes in and tells me her brother was born in Morley Hall, that there was a room with a cold atmosphere that nurses didn’t like to go in. Could this be the ghost of Alice mentioned in George Atkinson’s article, Alice Cliff Scatcherd, I ponder. I am at home in the library now where the staff are friendly, interested and helpful. After so long as a freelancer, this almost feels like a regular place of work. I am rooted at my desk ­- scrapbook, folder and Ipad in front of me, display behind me while parent and child singalongs happen in the children’s room next door. 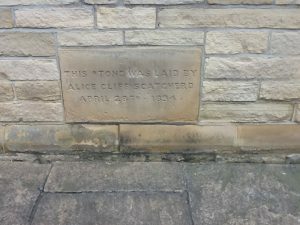 I consider writing about Alice’s role in the women’s movement, her philanthropic work in Morley. Every day I discover a new society that Alice has been secretary of. Sometimes the amount of information that is out there about her is intimidating – what is it right to focus on when her life has been so rich and multi-faceted? It all becomes tangled in my mind. I do feel I am reaching a sense of Alice and her voice and this solidifies as I re-read the travel writings she sent to the Morley Observer. I begin to take phrases from her writings – they are sometimes thoughtful, sometimes inspiring sometimes both supercilious and amusing – ‘the place we dine, I cannot call it ‘room’. Astounded at her courage, at her adventuring spirit – she and Oliver decided on a last minute trip to Norway for example – I create found poems from them. I also begin working on something from a transcript of a deputation of women campaigning against an enforced 9 hour day for women, taking found phrases and trying to convey the drama and sense of the meeting whilst making it concise. It doesn’t quite work and I pledge to come back to it. In the afternoon Julie, Gina and Angela arrive. Julie has collated several files of articles about Alice – including a few gems I haven’t seen about the 1892 Grand Demonstration in Sheffield. Julie knows someone at Mill Hill who knows about the history of the chapel and the preachers and suggests I speak with him. Gina is writing up Oliver Scatcherd’s letters . She pledges to find out more about the gas lamps too. Looking at the death certificate, we talk about how Oliver was close enough to his friend and colleague Richard Borough Hopkins for him to be at his bedside when he died and to leave him most of his estate, although Alice is referred to in the will as ‘my dearly beloved wife’. We mention what independent lives the couple had, how Alice was friends with a lot of women who were openly lesbians and wonder about the nature of their relationship. What a lovely morning. There are eleven people present and two members of the library staff as I talk about Alice and read the poems written so far to the library’s Golden Days group. As I had hoped, there are a few interjections and, when I ask Bob to step in, he reads the part of the mayor perfectly. When I close, questions and conversation erupt from the group. I have been up since 5.30 editing the poems and thinking about what to say but it is worth it. People find it difficult to tell which words come direct from Alice and which I have created. ‘It’s all so relevant to today’, one of the Golden Days members says. I have found that as I’ve been writing I have picked up on so many parallels with current times – an expensive war in Afghanistan, demands that the House of Lords is abolished, objections to vaccinations, comments on Muslim women wearing the veil etc. I am determined to convey some of these similarities during the show. I am continually impressed by how many people have knowledge about Alice and pleased that so many share my interest in her, this project inspiring many to do their own research. Every day I come home to emails with more information and questions about Alice. Clive comes in during the afternoon to find out how it has been going. Julie isn’t with him because she is busy picking up her White Rose Community Award. It is well-deserved. They have both been so invaluable in letting people know about the project and passing on thier own enthusiasm as well as in contributing heavily to the research. The library staff too have been wonderful, particularly Allison Roberts. I never dreamt that this collaboration would be such a generous and supportive one. I spend a couple of hours making notes on the dissertations given to me by Marie Gilham, Vine Pemberton Joss and Margaret Kirk. These focus mainly on Alice’s role in the women’s movement and are rich with information and quotes. This work will continue into tomorrow. I don’t write anything fresh and in the evening I take a break by going on a date to Hyde Park Cinema with my husband. mind fogging with typhus or lack of sleep’. I have woken up early, brain buzzing with what I want to write next. I continue with yesterday’s research and make notes towards several poems simultaneously. This is an indication of how tired I am and it is the first lunchtime where I don’t write, instead taking a walk in Scatcherd Park. One poem that begins to come together is the one inspired by the tailoresses strike. It is still in first draft form but I feel I am getting a sense of what the everyday was like for people, something that one Golden Days member requested. Fliss who attended the workshop has just arrived back from holiday. She asks me where the Friends Adults School is where Alice laid a foundation stone so we go to have a look. 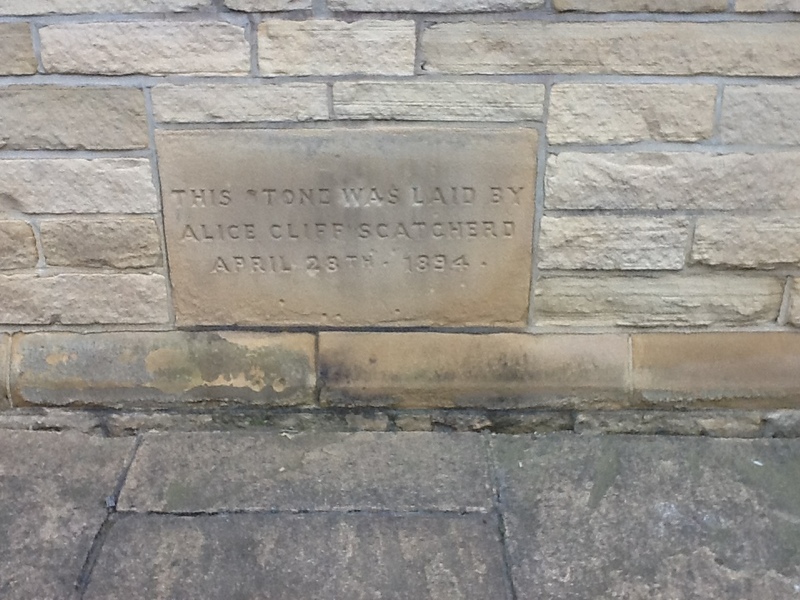 It is now residential accommodation but we manage to find the brick that commemorates Alice’s contribution to the school. I finish the week by gathering notes for a poem about Oliver and Alice’s travels in India. There is so much I haven’t touched upon about Alice’s life and I haven’t even begun to tackle the contemporary character, but I have established some connections I want to make with today’s world. I had hoped to finish a draft of the show today but I am a way off that and know I will be making another visit to the library soon. In the meantime I will work on the material I have and devise the other character. It has been a wonderful week, both in terms of community interaction and the opportunity to spend hours each day writing and researching. I know what a lucky woman I am to have this as my job. There is still time to reserve a seat for the launch of my first poetry collection. 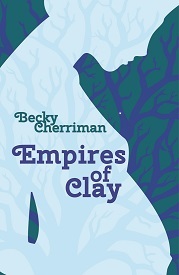 This will take place on November 8th at The Leeds Library at 7 pm with readings by myself and Steve Ely. Please note the venue is the private library on Commercial Street in Leeds. Entry is free but please let the library know you are coming by emailing enquiries@theleedslibrary.org.uk or telephone 0113 2453071. Hope to see you there.